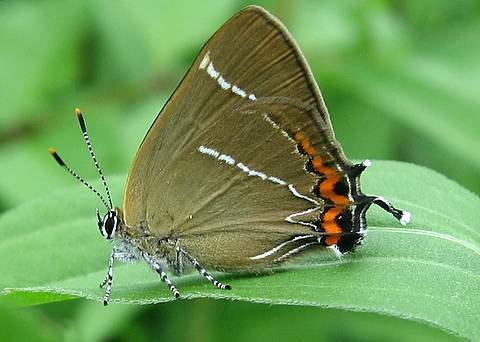 The White-letter Hairstreak is a reasonably widespread species but tends to be rather local and uncommon (or at least is difficult to observe like some of the other tree-dwelling species.) 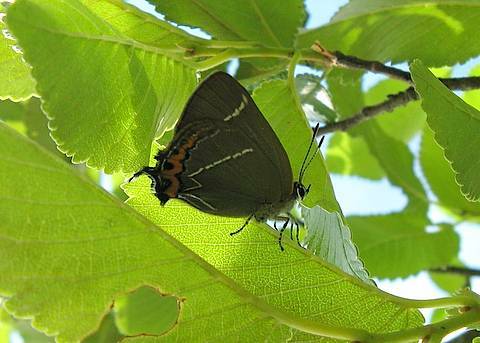 Also, as the larval foodplant is elm, it has suffered from the outbreak of Dutch elm disease which decimated populations of the trees. 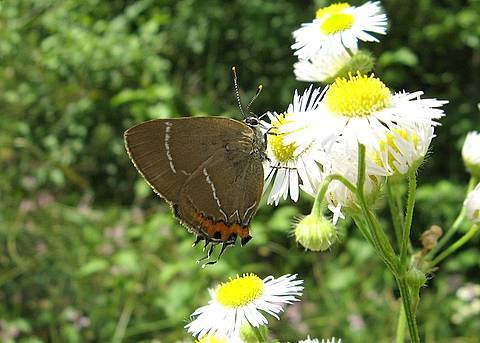 However, as the disease does not concern young trees, the butterfly seems to have adapted to laying on sucker growth and is not in any danger of extinction on that account. 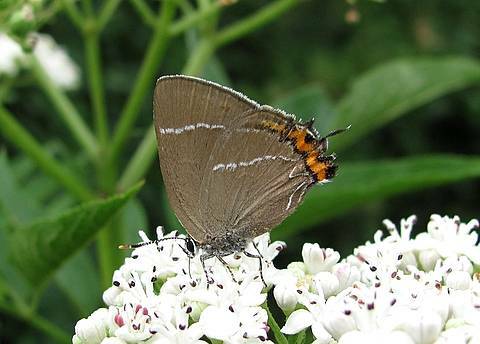 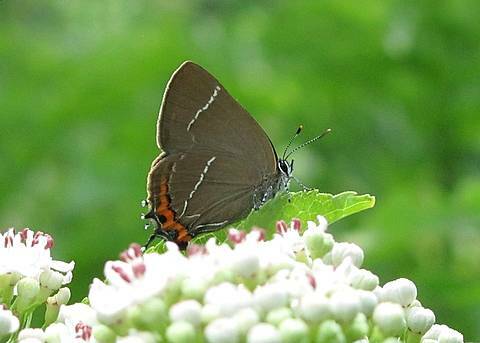 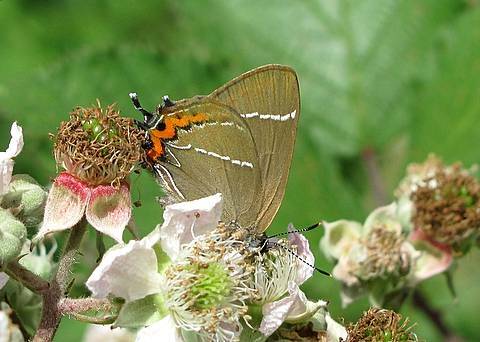 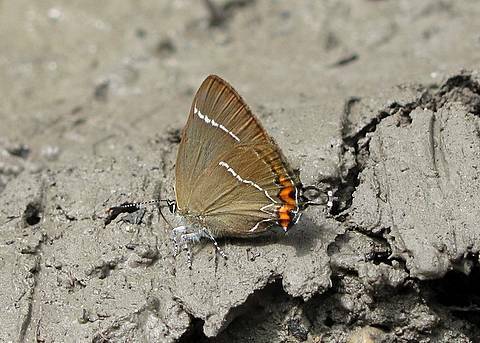 Whilst it resembles other Satyrium hairstreaks the combination of the solid, orange band on the hindwing (without the black circles as in S.pruni) and the well shaped 'W' of the white line means it is unlikely to be confused with other species.